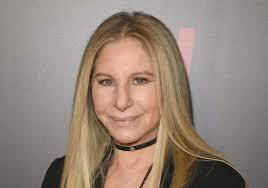 In the midst of all the things that have gone wrong this week I have to be upset at Barbara Streisand. I’m sad about it. I saw her trending on Twitter and my heart dropped into my stomach. Thankfully my initial thoughts were wrong and the legend is still here with us but, what she was trending for didn’t make me feel any better. After reading what Barbara had to say about the about Michael Jackson’s accusers I was mortified because, why are you normalizing pedophilia? Why is that happening? It was a very strange thing to say to center the parents’ responsibility and dismiss Michael’s, if these allegations are true. Any child’s admiration for a person should not be mistaken for complicity in their own abuse. I don’t mind people not being politically correct but, what needs to be understood is that you will be dragged for your wrong opinion. Barbara meant what she said and I’m sure she doesn’t use social media much so she may have just found out about her dragging today. If she does issue an apology it will be disingenuous for me; there is no other way to interpret what she said as well-meaning. It’s just a problematic mess. I do hope though that in the future she checks herself and educates herself on the power dynamics of pedophiles and their victims.